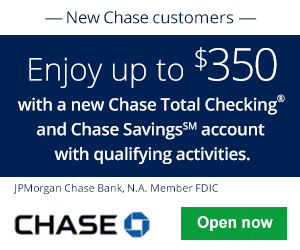 Available to residents of Arizona, California, Colorado, Illinois, Iowa, Montana, New Mexico, and Wisconsin, Bank & Trust is offering a chance to earn a $200 bonus ($350 if you reside in Iowa) when you open a Cash Rewards Checking or a Free Checking with eStatements account before April 30, 2019. All you have to do to earn the first $30 is to enroll in eStatements, then afterward for the remaining $170, you have to set up a direct deposit of at least $500 into your bank account, all within 60 days. Once you have completed all the account requirements, the $200 bonus will be deposited within 90 days of account opening. Once you have met the requirements, you will be able to enjoy great account features such as online banking with eStatements, mobile banking and online bill pay, and so much more! If you are currently interested, be sure to head on over to a participating local branch as soon as you can! In addition, you can also check out other great promotions from banks such as HSBC Bank, Chase Bank, Huntington Bank, Discover Bank, TD Bank, BBVA Compass Bank or CIT Bank. Editors Note: Dubuque Bank & Trust is offering up to $350 bonus instead of $200. Make sure to read below to find out the bonus requirements. Open a new Checking account with the Bank & Trust by April 30, 2019. 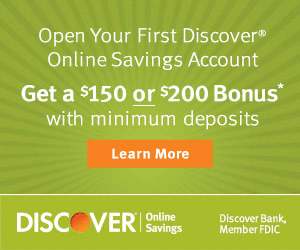 For the first $30, enroll in eStatements with 60 days of opening the account. To earn the remaining $170, you must set up at least 1 direct deposit with at least $500 with the first 60 days of opening the account. After you have completed the requirements, the bonus will be deposited within 90 days of opening the account. To earn the remaining $320, you must set up at least 1 direct deposit with at least $500 with the first 60 days of opening the account. $200 bonus offer is not available to existing Bank & Trust consumer checking customers or those who had accounts open on or before February 28, 2019. 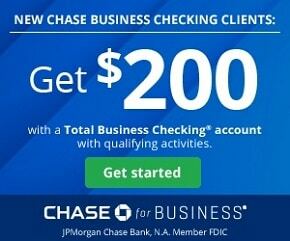 Bonuses only apply when opening a new consumer checking account at Bank & Trust during the promotional bonus period. A $30 bonus will be given for enrolling in eStatements within 60 calendar days of account opening and a $170 ($230 for Illinois Bank & Trust) bonus will be given if one (1) direct deposit of $500 or more post to the account within the first 60 calendar days of account opening. Direct Deposit examples include payroll, pension, Social Security or other government benefits. 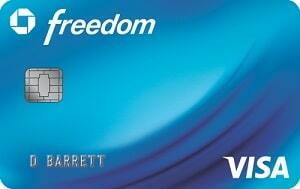 Bonuses will be paid within 90 business days after account is opened. The offer cannot be used in conjunction or combination with any other deposit offer. Health Savings Accounts are not eligible for the promotion. Geographic restrictions may apply. If you currently live near any of the banking establishments listed above, you are in luck! 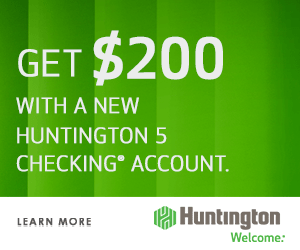 You can now earn a considerable $200 Bonus ($350 Bonus if you reside in Iowa) when you participate in Bank & Trust’s Promotion and open a new consumer checking account and complete the necessary requirements. All bonus dollars will be paid to the newly opened checking account. I recommend opening a Cash Rewards Checking account primarily because it’s free with eStatements enrolled and you could earn rewards just for essentially meeting the requirements for this bonus! The bonus will be paid within 90 days after the account has opened. If the account is closed by the customer within 90 calendar days after opening we will deduct bonuses received at closing. The bonus is considered interest and an IRS Form 1099 may be issued. If you’re not currently interested, then I recommend you check out our complete list of Bank Bonuses for all your banking necessities!